Enjoy the artistry and elegance of an aluminum patio table top without the expense. The Ion Table Tops have an aluminum fabricated sheet top. Ion Patterned Aluminum Outdoor Dining Tables, Accessory Tables, and End Tables from Tropitone are designed by John Caldwell. The exclusive Ion design complements all Tropitone® Furniture Collections. 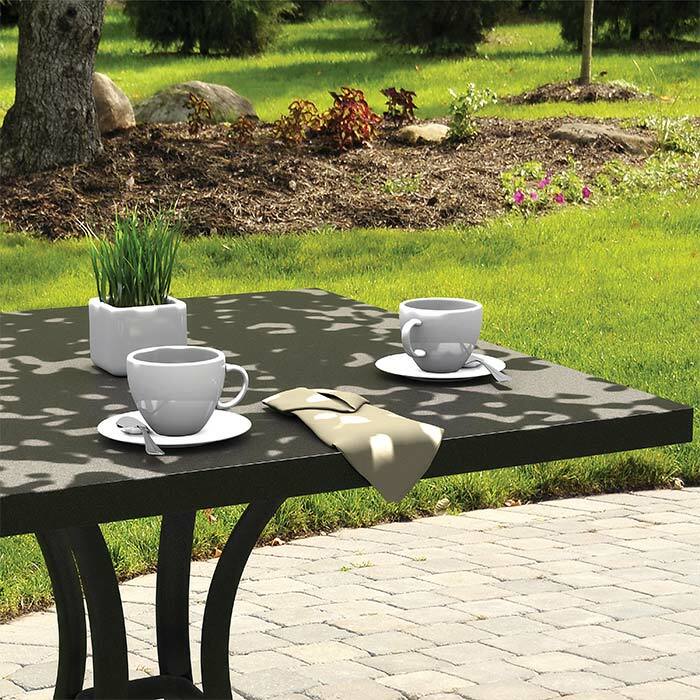 These aluminum outdoor table tops are the ideal table surface for any hospitality setting.